The most simple & delicate everyday bracelet. 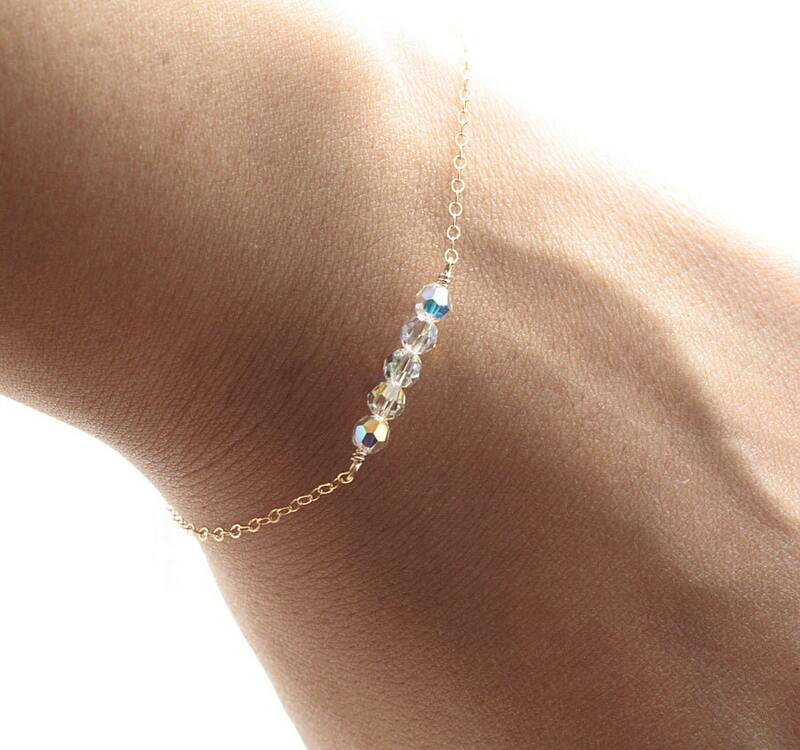 Five little aurora borealis swarovksi crystal beads (4mm) float on the most dainty & shimmering 14k gold fill chain. Bracelet is completed with a round spring clasp. ♥Also available in sterling silver.